3694 Square Feet (343 Square Meter) (410 Square Yards) big double floor luxury home. 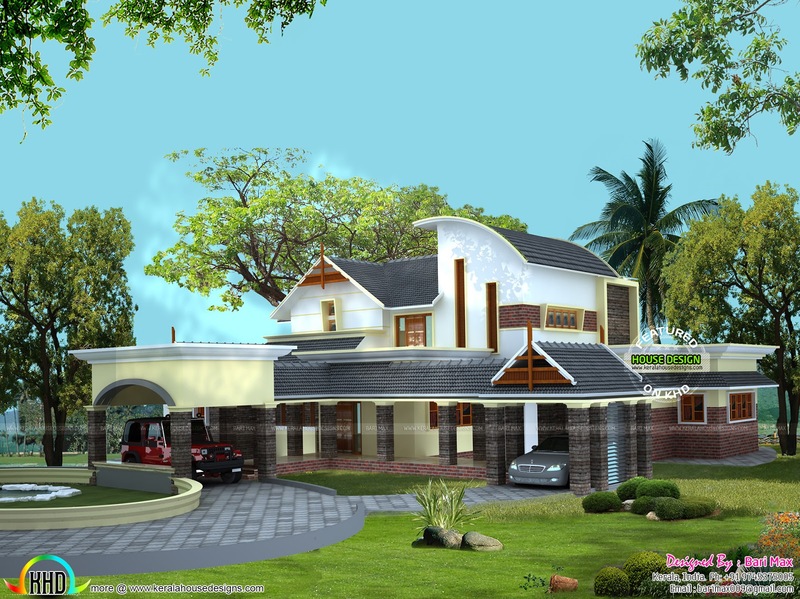 Design provided by Bari Max, Palakkad, Kerala. Ground floor : 2572 Sq.Ft. First floor : 1122 Sq.Ft. Total area : 3694 Sq.Ft. 0 comments on "Luxurious home with 2 car porches"